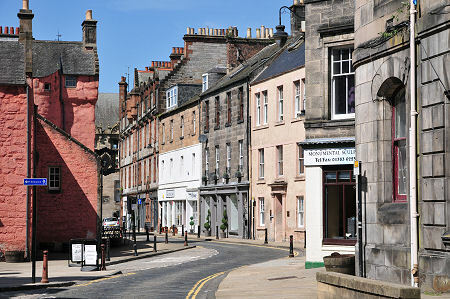 Dunfermline is an ancient settlement located in an easily defended site on rising ground a little over two miles north of the River Forth. The name comes from the Gaelic "Dun Fearam Linn" which translates as "the fort in the bend of the stream". Malcolm III, who married Queen Margaret in Dunfermline in 1070, built a fortress here, probably on the site of earlier Pictish defences that had given the town its name. Remains in the town's excellent Pittencrieff Park known as Malcolm Canmore's Tower probably mark the location of this fortress. 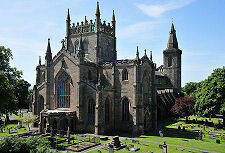 But it was Margaret rather than Malcolm who was responsible for Dunfermline's strong growth through the medieval period. She liked it so much she founded a Benedictine priory here. 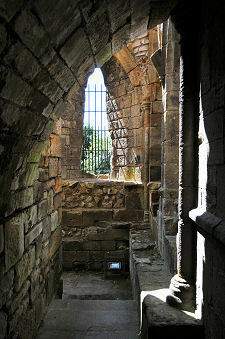 Dunfermline grew in importance with its abbey and the impact on the town of the Reformation in 1560 was lessened by the continued use of parts of the abbey as a royal residence in the late 1590s by Anne of Denmark, wife of James VI. 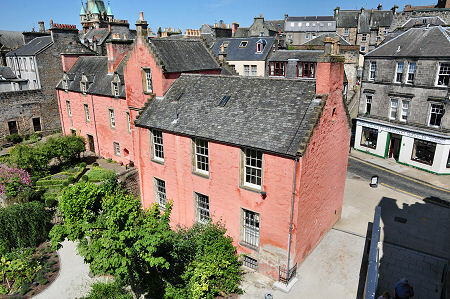 By 1624 over a thousand people lived in Dunfermline. But a major fire swept through the town in that year and left most of them homeless. After the fire one of the few surviving buildings in the town was the Abbot House, dating back to the mid 1400s and later extended in the 1700s. 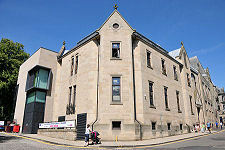 In 1995 this was converted into the Abbot House Heritage Centre, and there are plans in place to bring it back into use as an adjunct to the neighbouring magnificent Dumfermline Carnegie Library & Galleries	which opened in 2017 after a £12.4m expansion of the existing Carnegie Library. 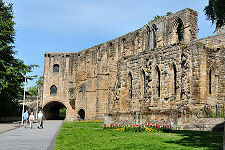 The story of Dunfermline over the last few centuries has been largely an industrial one. In the 1700s it became an important centre for the linen industry and by the end of the 1800s there were five coal mines close to the town in an arc from the west to the north. In the 1900s the naval bases on the north side of the River Forth provided considerable employment for the town. 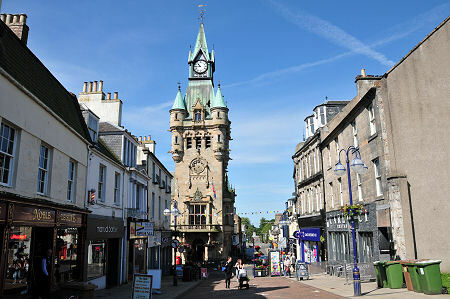 Dunfermline has two more claims to fame. In 1848 a weaver called William Carnegie emigrated to the USA, taking with him his 13 year old son Andrew. 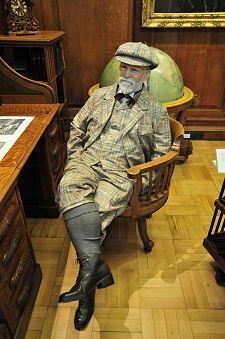 Andrew Carnegie went on to found a steel empire that made him one of the world's richest men. 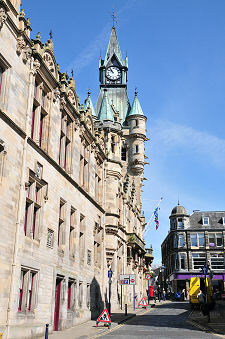 In 1883 Dunfermline was the location of the first of over 2,500 libraries and other institutions Carnegie set up around the world with over $350m of his own money. 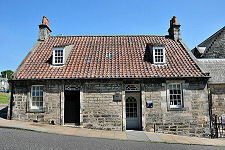 Today his birthplace, just to the south of the abbey, is marked by the Andrew Carnegie Birthplace Museum. 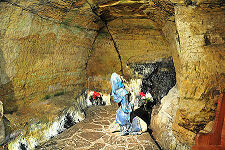 One of Dunfermline's most unexpected attractions is St Margaret's Cave. 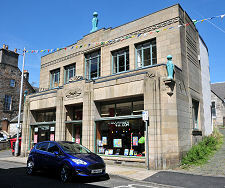 An unassuming building in the corner of a large public car park gives access via 87 steps to the cave in which Queen Margaret, later St Margaret, secretly came to pray following her marriage to Malcolm III in 1070. The cave remains a place of pilgrimage.